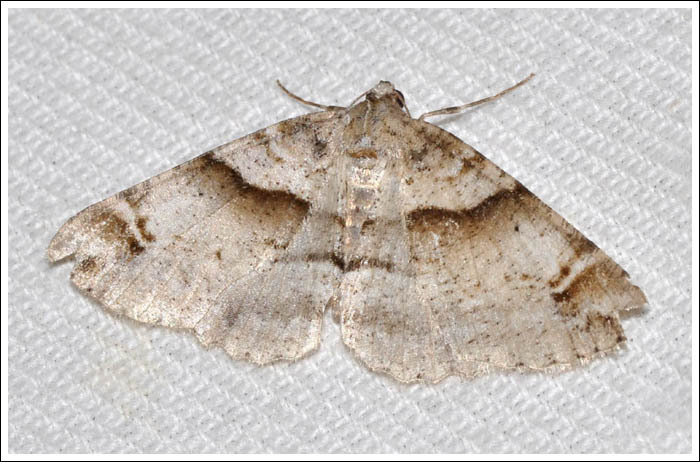 Hypobapta diffundens, (Geometrinae) takes to the air from September onward, this nice fat-bodied female came in and after fluttering around for a while settled on the sheet. 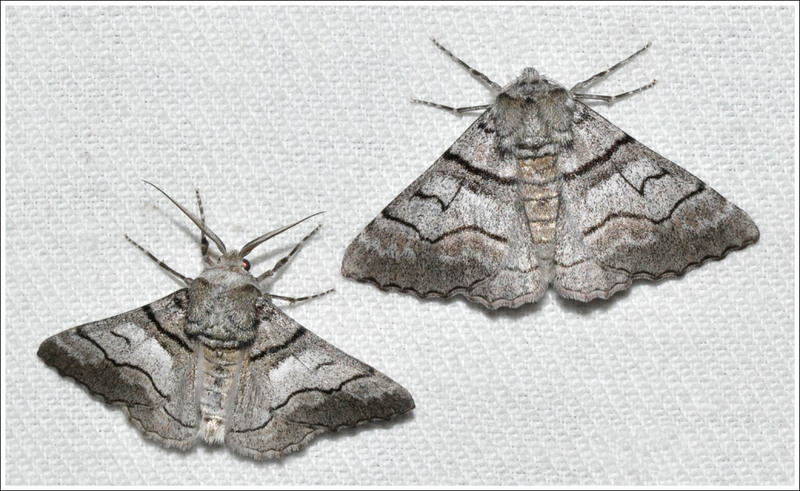 Where she was soon joined by a smaller male, click to enlarge. 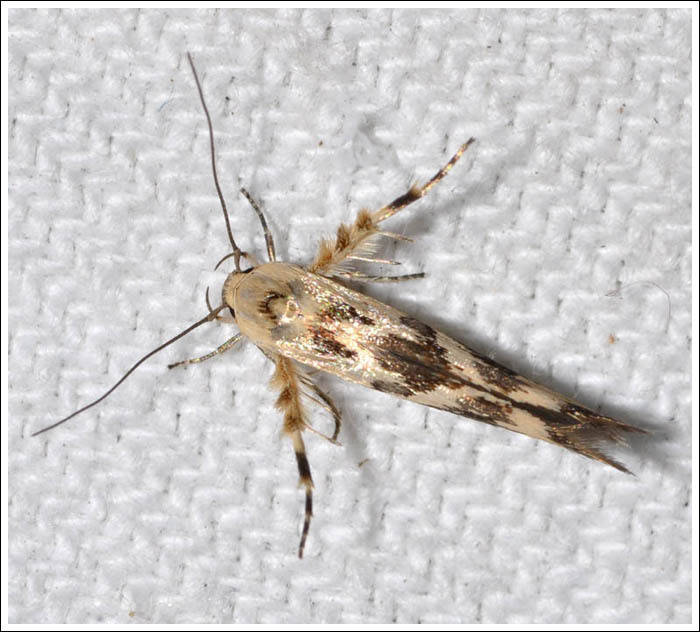 And the Yellow-tailed Stub Moth, Discophlebia catocalina, (Oenosandridae) male. 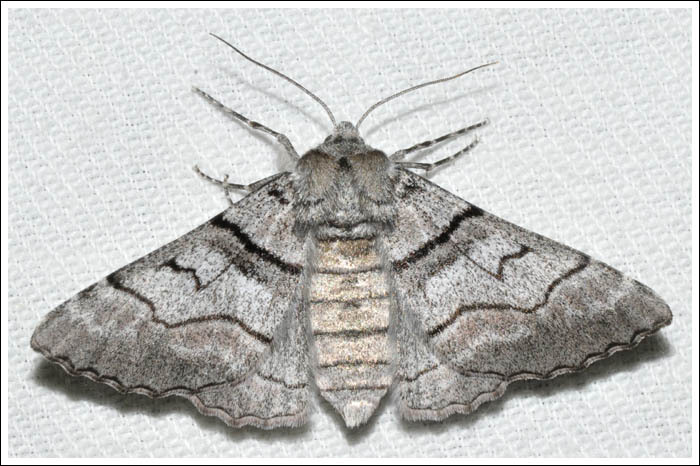 Another Geometrid, Ectropis fractaria, (Boarmiini) male. 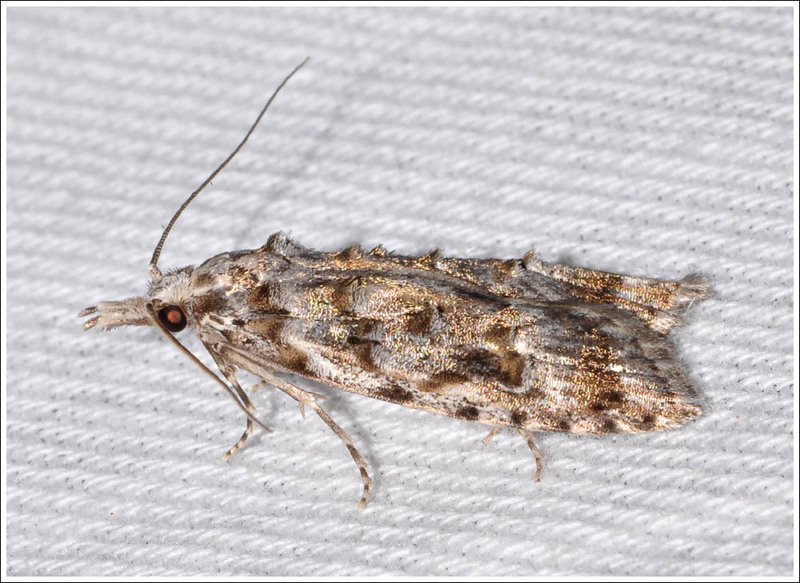 To conclude this batch, a strongly marked small moth from the Crambidae, Scoparia spelaea. 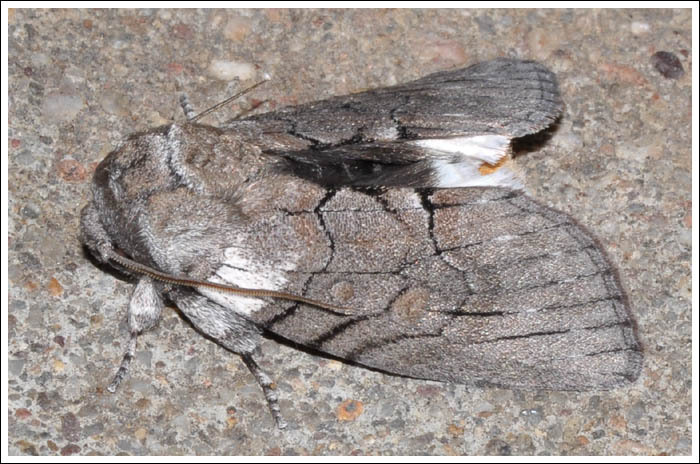 It has a wing span of only 1 cm, resting with wings spread on this occasion displaying the dark hind wings. Posted on October 31, 2018 by PholodesPosted in Moths. Even more from the garden. 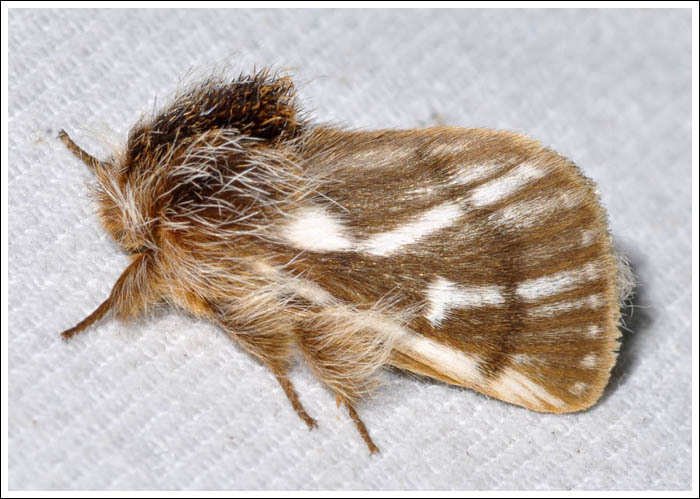 Moths in the family Carposinidae are known as Fruit Worm Moths, Carposina hyperlopha is a very attractive example that flies in autumn. 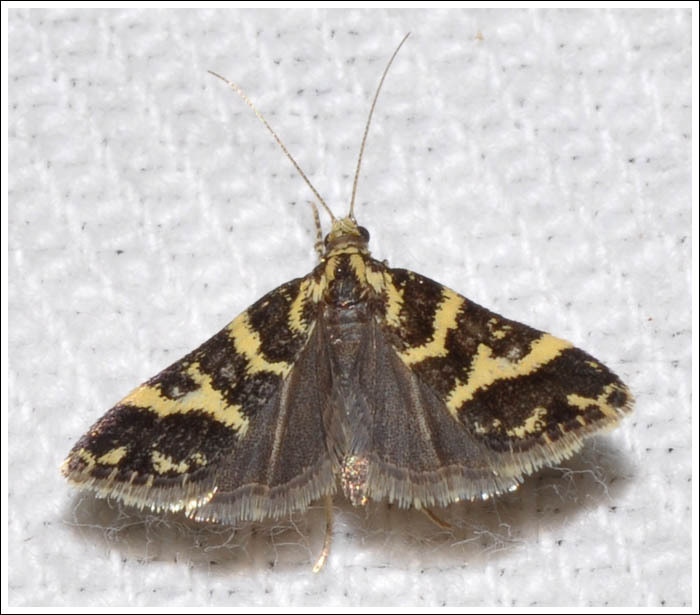 This is another with nice markings that came in from the garden for the first time the other night, Sosineura mimica. 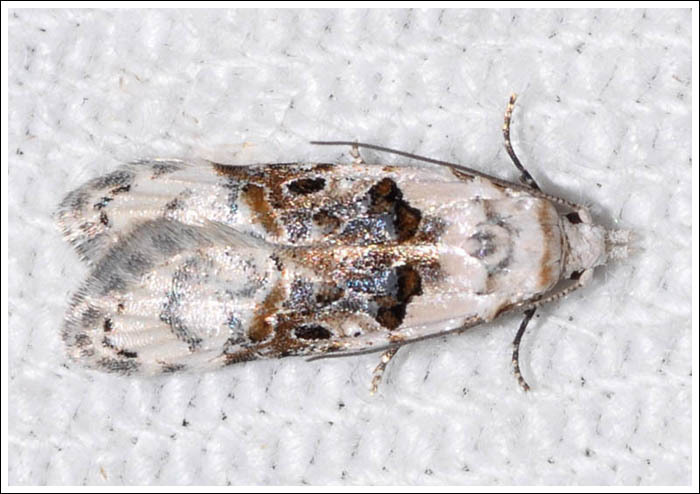 A calm night with a little drizzle saw a Ring-tipped Bark Moth fly in, Syneora hemeropa, (Boarmiini). This was only the second Victorian record since 1931, its status in the state is something of a mystery. 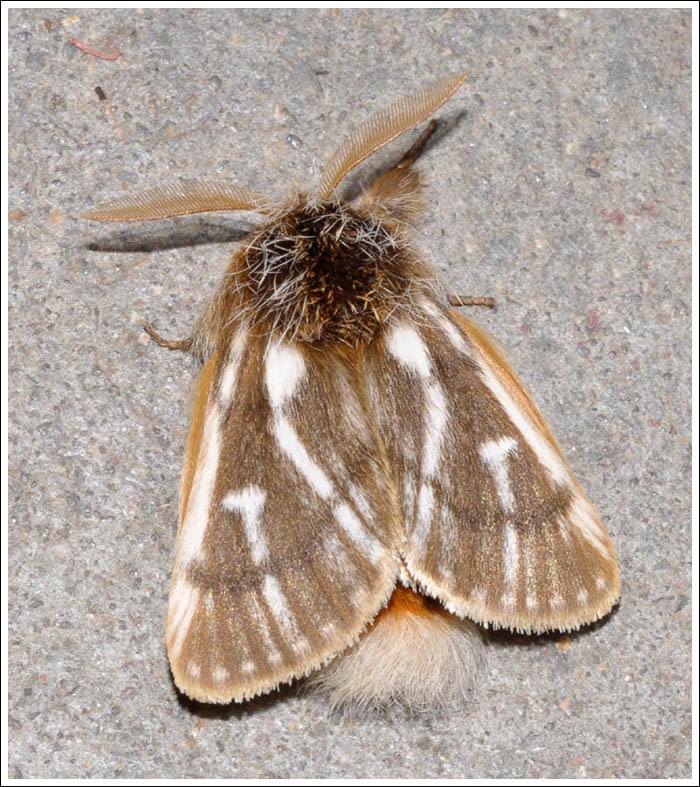 It may be a rarely recorded resident, or a vagrant that flies in occasionally. 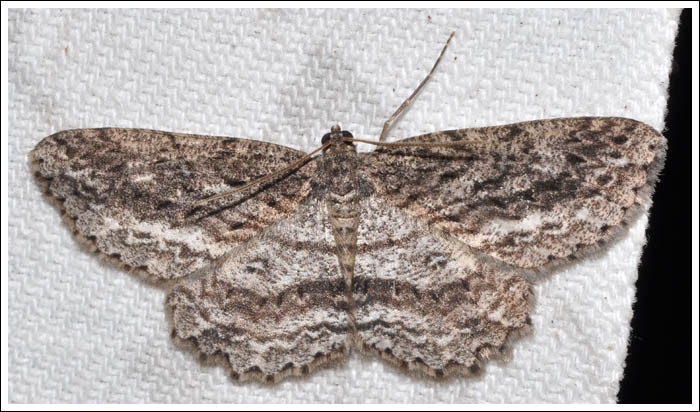 The tattered wing tips on this specimen may indicate that it has flown for some distance. 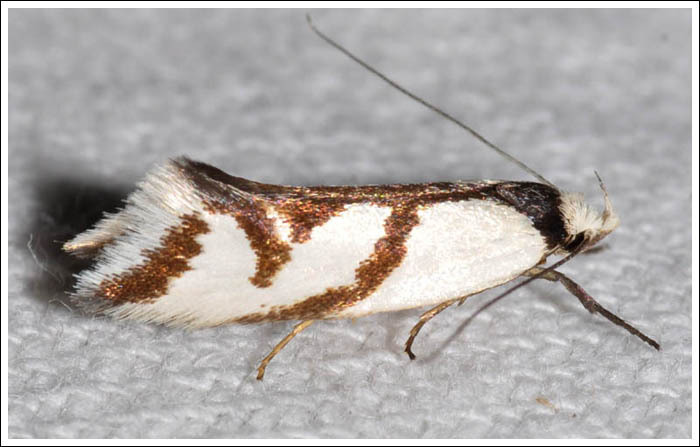 An Oecophorid that is a regular to the light is Euchaetis rhizobola. 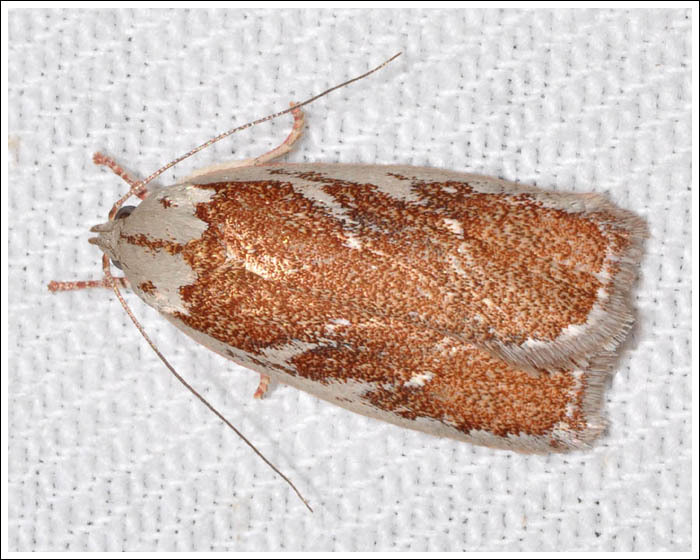 In the same family is Stathmopoda melanochra, the larvae of this small moth are carnivorous and feed on scale insects which can cause significant damage to shrubs and young trees. 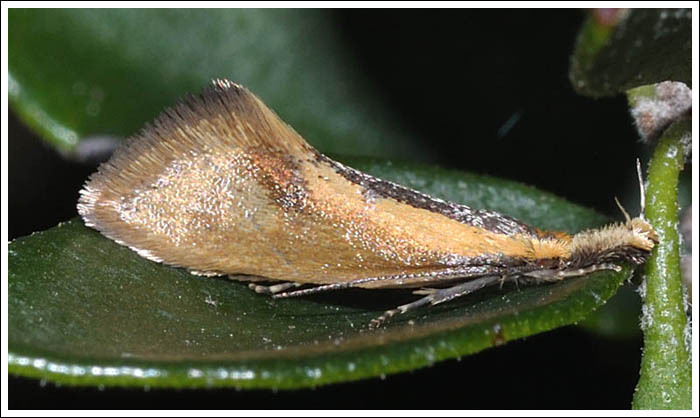 The larva of Ocystola paulinella joins two leaves together with silk and frass to form a shelter in which it lives. 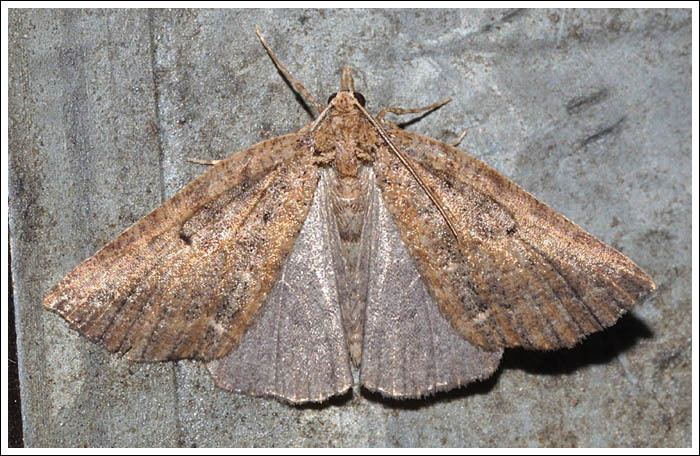 It feeds on the surfaces of the leaves of its shelter in which it eventually pupates. 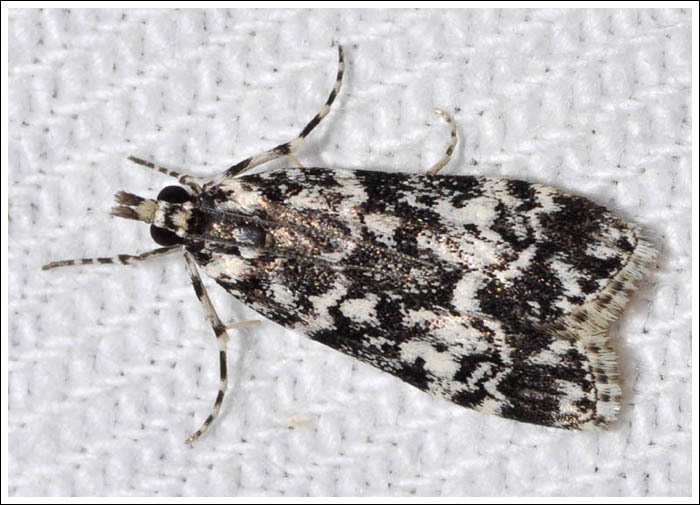 Moths in the Crambidae are noted for their colours and patterns, Scoparia exhibitalis is an Australia wide species strongly marked in black and white.. 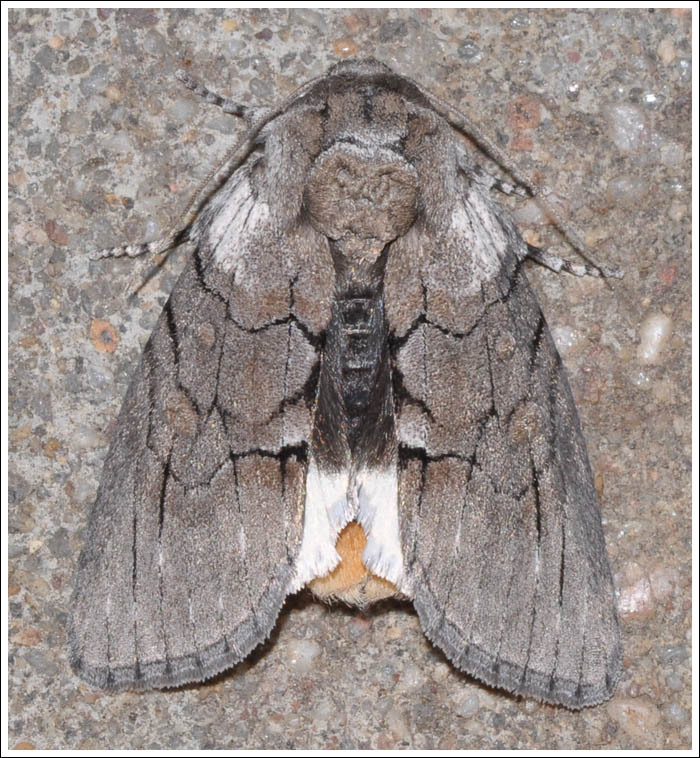 This moth, Ochrogaster lunifer, (Notodontidae) is the adult of the processional caterpillar. If encountered it should not be handled, as skin may be penetrated by toxic filaments that can have serious consequences. More information here.